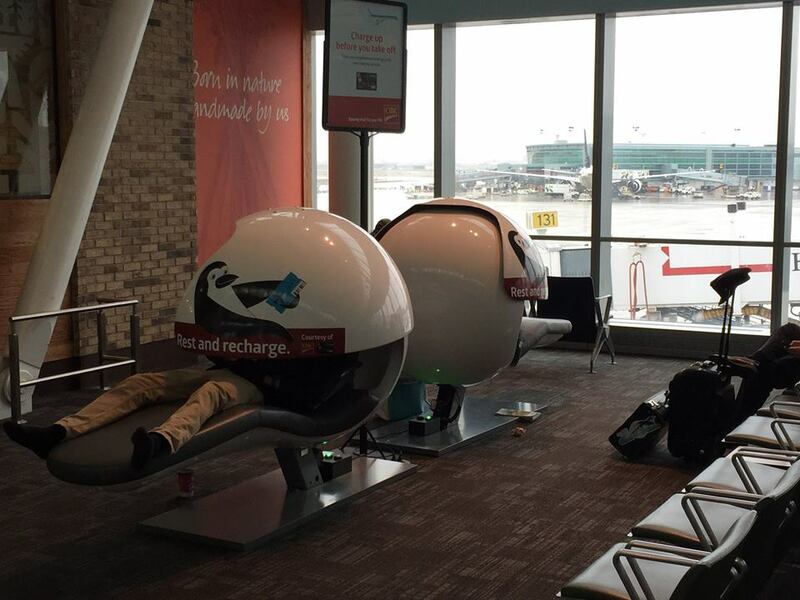 A few free sleep pods are available airside. Unfortunately, we don't know the exact locations. I will have a five-hour layover on a really gruelling itinerary and I would be so happy to lay my head down for a few of those five hours. It's been quite a while since you asked (and quite some time since you've contributed, although I see you stopped by yesterday; you are missed). Looking for a way to rest and recharge at Toronto Pearson? Try out an energy pod from CIBC in our Terminal 1 Canadian departures hall. Not the answer you're looking for? Browse other questions tagged sleeping toronto or ask your own question. Which (if any) car-sharing companies in Toronto offer one-way return at Pearson Airport, barring car2go? How do I book an Airport-Licensed Taxi to Toronto Pearson Airport?